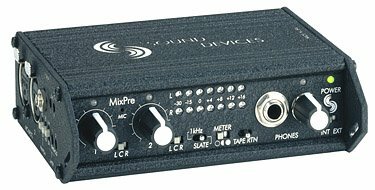 This series began discussing gear choices of audio pros. Over time, we have been treated to an unexpected bonus: each field recordist’s fascinating origin stories. As we all know, the community has yet to see a formal field recording training method. Sure, there are workshops and partial-credit courses. However, a focused, intensive method of learning field recording has yet to emerge. That’s why learning each sound pro’s history is revealing. No two are the same. That’s a testament to the determination of each pro and the support our community provides. The are common themes, though. Field recording often evolves from music work or a love of films. Of course, there are others. A passion for theatre or game audio are other common approaches. We’ve also heard from the sizable group of wildlife recordists who combine their love of nature and preservation with pro audio. Now, it’s an sensible leap from crafts such as feature film sound editor to field recording afficianado. What is the impact on field recording if the creator arrives from other, more distant arts? 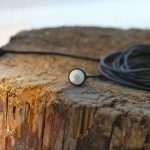 Will the field recordist capture audio with the same ear as the rest of us, or perhaps introduce new insights? How does that influence equipment selection? To answer that question I turned to a gentleman named Rick Hannon. I met Rick through this website. He is an award-winning photojournalist. His work has appeared in a number of publications from Wyoming’s Casper Star-Tribune, Columbia, South Carolina’s The State, and Baton Rouge’s The Advocate. His photos have appeared in The New York Times, Life, Newsweek, People, and the National Geographic hurricane Katrina special edition. What’s especially interesting is that Hannon is self-taught in his field. Of course, that’s the same journey we have all traveled with field recording. I reached out to him to learn about both his field recording and photographic experiences. I was curious how the craft of field recording blends with other arts, or is amplified by them. 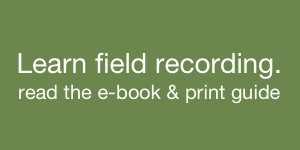 So, today Rick Hannon shares his experiences with two very different crafts as well as a special treat: his insight how – just like his accomplished photographs – field recordings can tell stories, too. 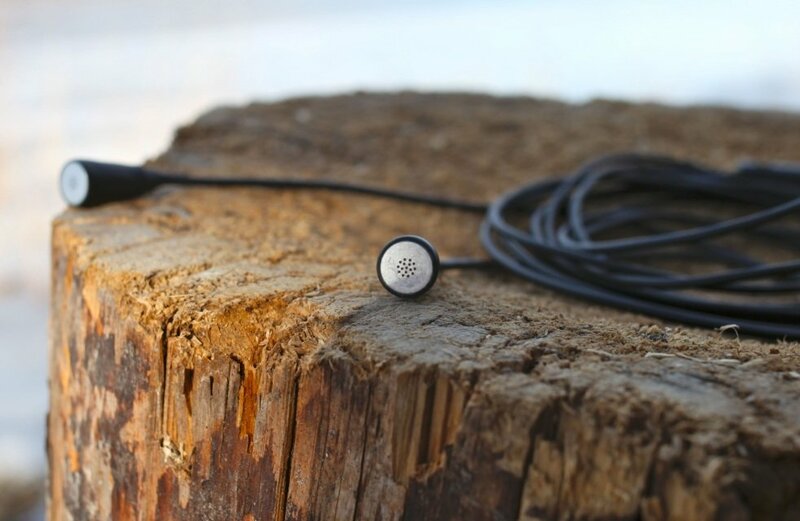 Creative Field Recording: Can you share with readers how you first started field recording? Rick Hannon: In 2005 I attended as a still photographer student the Mountain Workshops, a weeklong photojournalism workshop held annually in a different county in Kentucky, where each student randomly pulls his or her assignment out of a hat. Mine was about grandparents raising their grandson, an all-too often situation in Kentucky and around the country. The workshop also taught audio recording, for radio and such, a new offering that year, I believe. One day the audio recordist assigned to my story arrived to interview the subject. He then took the subject into his car for the interview. I thought that odd (I realize why now, for the quiet). We had a group slideshow on closing night, and when my images appeared on the screen with the accompanying, nicely recorded audio, I realized there and then how powerful audio can be in enriching a story. Of course I should have known this. I listen to NPR. I watch movies. But as a still shooter, you’re often so focused on the visual, you don’t always here the sounds around you. At least that was how it happened with me. I’ve covered quite a few hurricanes, including Katrina. I’ve photographed quite a few presidents, been to Cuba, Hawaii, shot a ton of film in Yellowstone and the West. I got to see how mean people can be as I covered Matthew Shepard’s funeral. But regrettably, I’m hard-pressed to remember what any of that sounded like. Now I realized there was something I could do about it. In 2009 I attended the National Press Photographer Association’s annual multimedia workshop. It was in Las Vegas that year. And it was a week without sleep for which I received a really cool camera strap as my reward for having one of the most complicated video stories produced that year (due to my subject speaking only Chinese). My assignment pulled out of a hat this time was to shoot Fremont Street. If you’ve ever been there, you know this street is the equivalent of a sonic and visual bomb going off. The place is awash with distracting sights and sounds. It can be overloading. I’m happy with what I found there, and attribute its success to a simple lesson learned from a workshop I attended at the beginning of my photojournalism career. CFR: You already have a long history as a creative professional as a journalistic photographer. 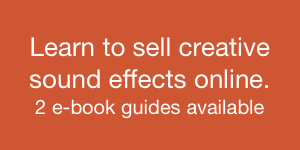 Can you share how that influences your audio work? Are there any notable similarities or differences between the modes of expression? RH: I am finding that audio field recording, photojournalism and landscape photography share many of the same qualities. I’d like to think my abilities as a photographer, practicing those avenues of photographing for many years, have helped me on my moderately newfound field recording journey. On one level there’s the geek and gear aspect of it all. Custom bags, neat black boxes with lots of knobs. 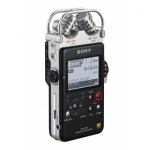 Just like photography, I have found that there are all sorts of cool audio gear out there for every kind of pocketbook. And just as a photographer needs to know f-stops and shutter speeds inside and out, a sound recordist needs to know how to set levels and use all the different kind of hardware and software available, in addition to other important things. But a professional photographer needs to know where to be at the right time. He needs to know when to press the shutter, what lens to use and why, to know the reason behind including, and excluding, elements in the frame. And for the professional field recordist, she needs to know which microphone/s to choose and why, and where to place them. She needs to know when to punch in, and for how long. This knowledge takes time. And I dig that. CFR: You have spent your career seeking out stories, and representing them through your photographs. In your experience with field recording, is this possible through audio? RH: What I’ve done so far with recordings featured on my blog and elsewhere is, for the most part, to create what I call (and probably didn’t think of) sonic essays. They are much like photo essays of a place, but with sound. No doubt my journalism background triggered this line of thinking. As a photographer I’m putting images in there too of course, but as I mentioned, I’m really digging what audio can do for a story. I like how it can inspire one’s imagination, certainly more so than video can do (and I do appreciate finely-crafted video). I like how audio can send me back to the time and place I created the recording. Studying old photographs does that as well, but not in the same way. In August 2015 I self-assigned myself, for lack of a better word, to record the sound of Poverty Point in northeast Louisiana. It is a World Heritage site now, but 3,000 years ago it was home to a hunter-gatherer culture. One of the largest such places in North America. I wanted to hear what it sounded like, and mused as I sat atop ancient mounds what the location may have sounded like to those long-forgotten people. I am a big fan of the field recordings and efforts of recordists like Gordon Hempton, Bernie Krause, and Chris Watson, and I truly enjoy being out recording in nature, of being able to listen to the flutter of a bird’s wings as it passes by, or an alligator’s groan, and things like that. Sounds you can hear and record that aren’t present in the city. I grew up in a town, which has had for a long as I can remember, a sports car course nearby. I never gave a lot of thought to the sound these cars produce. It was just accepted. I decided to record a race this spring. 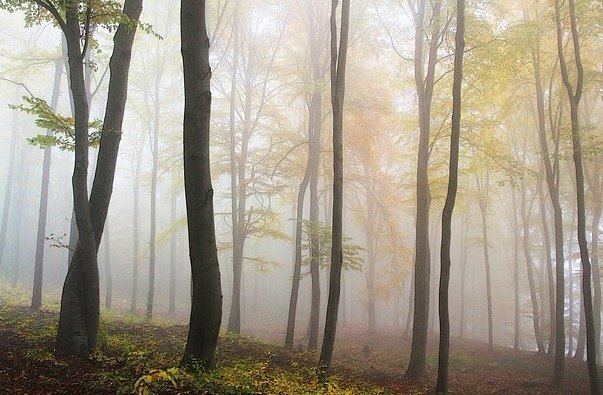 Knowing how fleeting natural quiet is becoming, I chose the vantage point of the nearby woods. It is quite interesting to hear how birdsong volume increases as the race progresses. Above all else, I find that the process of field recording has opened another door, enabling me to interact with people, explore new things and tell new stories to new audiences. That’s what got me hooked on photojournalism. I recently recorded the sound of an old metal windmill at an Amish farm near my home. I would have never done that without the excuse of wanting to record it. My favorite field recording gear is the gear I currently cannot afford. I always thought how great it would be if Nikon and Leica would one day call me up and say, “Hey, we love your work. Here’s the latest top-of-the-line XYZ.” That of course did not happen. To their credit however, Nikon has a pro loner service (NPS), which I took advantage quite a few times, including some long glass for a Super Bowl game a few years back. 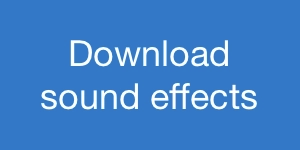 It would be nice if Sound Devices and Sennheiser had such a program. I’m not aware of it if they do. That being said, my gear is evolving, much like how it occurred in photography. For instance, years ago I bought an old Pentax K1000 and a bunch of off-brand lenses and cool filters (this was in the black and white days). When I became a professional photographer all that was traded for used Nikon gear, tried and true, industry-standard equipment that would stand the wear and tear of run-and-gun daily use. One of the more important lessons I learned from being a working photojournalist, is the bigger the bag you carry on your shoulder, the more stuff you’ll end up putting in it, and the more it will slow you down. Less is more. My wife can confirm that I’ve had my share of bags over the years as well. I’ve got bags with nothing but bags in them. The “bag of bags” we call it. Those photo bags, Domke, Think Tank, have now been repurposed into sound bags. I first tried what field recordist Gordon Hempton does with his Domke F2 bag. My sound gear evolved in parallel to how sound has been treated in the newspaper industry. 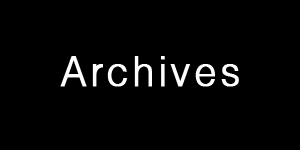 Online slideshows, stills with sound, were all the rage. At first I supplemented my images with a Sony PZM MZ-M100 minidisc recorder. It had this really cool blue display, but took forever to dump your take to a computer. Then came a Zoom H4, followed by an Olympus LS10 (which I should have kept), then a Tascam DR40 (which I was grateful to unload). I mention all those recorders above only to make the point that had I known I was going to get “serious” about field recording, I would have saved for a Sound Devices unit and skipped all the rest. Just like photography when I bought a slew of tripods before I ended up with one fantastic carbon fiber Gitzo. 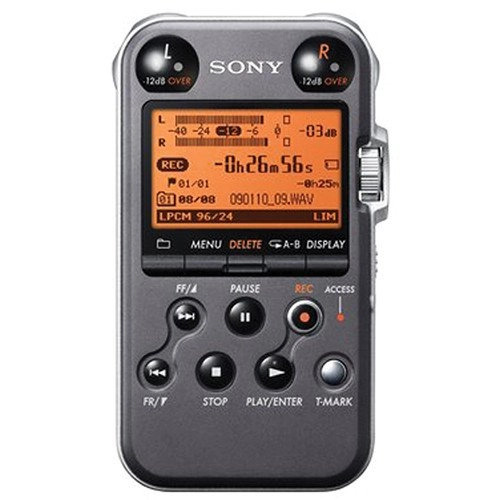 Now, finally, I own both a Sony PCM-M10, usually paired with a Sound Devices MixPre-D at the front end and so used as a “bit bucket,” and a Sony PCM-D100. I’m very pleased with both of these recorders. A Sound Devices 633 would be nice, but not yet necessary. These two recorders are light and interchangeable. If one dies I’ve got a backup, just like having two cameras hanging off your shoulders. The MixPre allows me to use my phantom powered mics, including my two Barcus Berry 4000 series contact mics. I love these things. I get a thrill most every time I clamp them onto something and hit record. The sounds are always something unexpected. I’ve attached them to an Amish windmill (with the farmer’s permission) to hear fabulous squeaks and groans, to a famous suspension bridge (with written permission from the state of Kentucky) to hear an otherworldly drone. A few months ago however, I arranged to record at an operating grain elevator in town. The manager gave me a tour of the place and was very accommodating to my strange request to record the sound of the steel tanks. Under his curious eye, I proceeded to hook up a contact mic. Nothing. Dud. No sound at all. And I felt ridiculous. Had the grain in the tank been moving, I think I would have gotten an interesting sound. I will have to try again. I highlight the fact that I try to receive permission to record whenever I bring the contact mics out. Attaching onto structures little devices with cords on them that run to a black box is bound to raise an eyebrow and a phone call to the police. 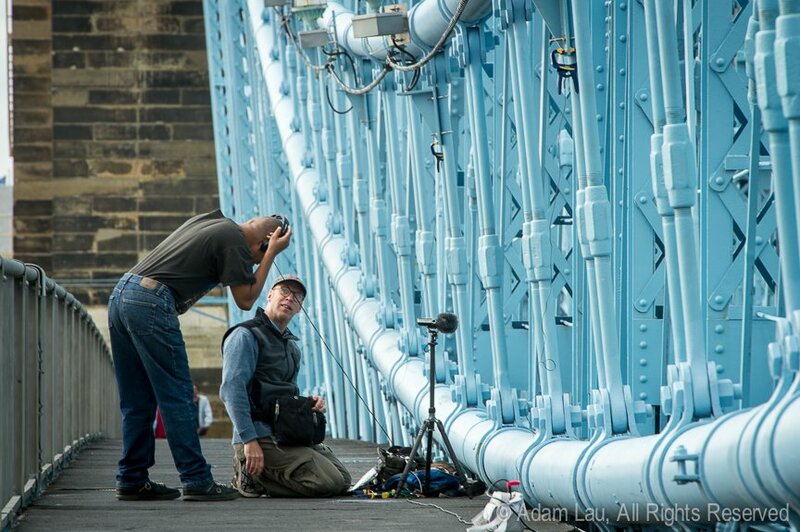 Photojournalists learn that sometimes it is better to ask forgiveness than to seek permission. I don’t think that holds true with contact mics. I should mention that every recorder, and every microphone I have owned or currently have, minus my pair of Line Audio CM3’s, has been used eBay purchases. I pull the trigger only after reading reviews by recordists with a lot more knowledge than myself. CFR: Can you share with readers why this gear is your favourite, as opposed to other equipment you have tried? RH: Currently my gear consists of a Sound Devices MixPre-D; Sony PCM-M10 and D100 recorders; a set of plug-in power Luhd microphones. I really like the way they sound, and used to record with them attached to the M10 before I progressed to a pair of Audio Technica AT3032 mics. I use these is a DIY baffled omni mount seen here and here. I have to say I use the Sony PCM D100 quite a bit. It’s so easy to run and gun with, yet it produces fantastic files. It never leaves its bag alone however. I always use it in combination with a Rycote Windshield and Suspension Kit. This kit is one of the few pieces of gear I purchased new. I couldn’t figure out a way to build a suspension mount for the recorder. Rycote was very accommodating when my dealer sent the wrong part. Now I have two. Just like photography again, I appreciate companies that cater to pros. They will retain my business. Sound Devices has set me up in the past as well. I own a pair of Line Audio CM3’s that I use in a DIY ORTF housing, seen here. Instead of using brand name windshields (which would be wonderful I’m sure but I’m too cheap to buy them), I bought two whiffle balls. The balls are about the same size as official windshields. I “drilled” a few more holes in them using an old soldering iron. I found rubber grommets to slip the mics into, and covered them in the cloth used for speaker cabinets. The covered mics then fit into a 3D-printed ORTF mount found on the Internet. As you can see, I am into DIY. As I write, I am ordering pieces and parts to create a pair of headphones comparable to a name brand pair that will give me better noise cancellation than my pair of Sennheiser HD 25–1 II headphones. 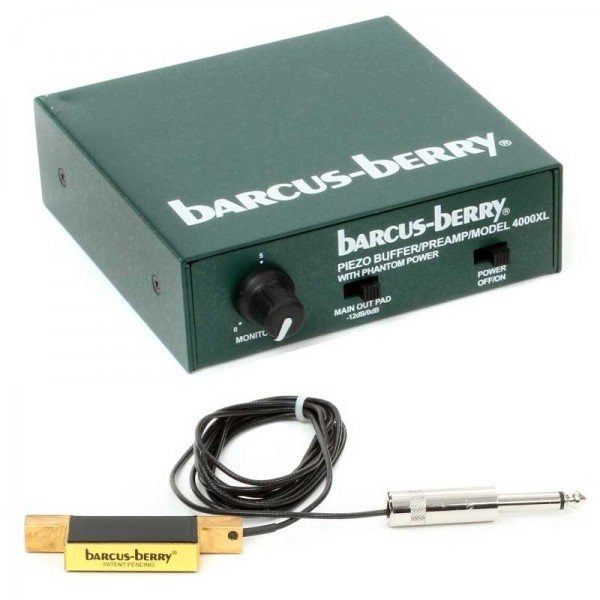 I mentioned how I much I like my pair of Barcus Berry contact mics. I wish the cords and the mics themselves were a bit more rugged, but they were never meant for field use. CFR: Do you have a favourite experience field recording you have captured using this gear? RH: People used to ask me what my favorite photograph was that I have taken, or what my favorite assignment has been. I never really had an answer for them, and I could tell they either left puzzled, or thinking I was a prima donna. I learned through photojournalism that you have to be ready and willing to kill your darlings. So my next field recording experience will most likely be my favorite, until it’s not anymore. I am happy to have the gear I have. It has allowed me to hear and experience the world in ways I never have before. And just like photojournalism, field recording has given me the opportunity to associate with a group of passionate, like-minded, creative and helpful people that love what they do. So what could be better than that? Thank you to Rick Hannon for sharing his experiences with us. 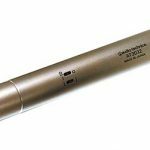 Luhd PM–01AB omnidirectional electret microphones. 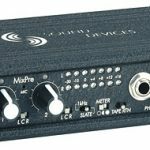 Line Audio CM3 cardioid condenser microphone. 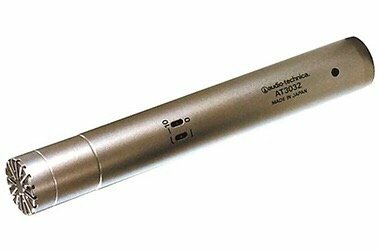 Audio Technica AT3032 omnidirectional condenser microphone. 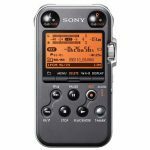 Sony PCM-D100 portable recorder with omnidirectional electret condenser microphones. 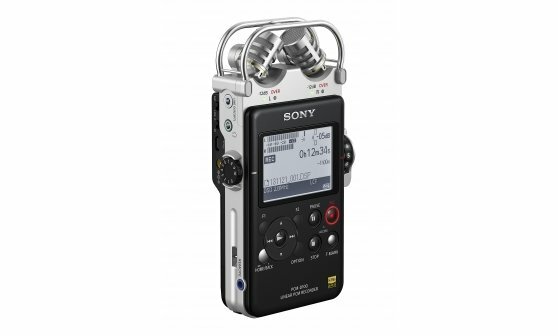 Sony PCM-M10 portable recorder with omnidirectional electret condenser microphones. Sennheiser HD 25–1 II headphones.